Northern Michigan at Its Best! The Little Traverse Bay area of Northern Michigan has been attracting visitors to its shores for more than a century. And it is no surprise that this part of Northern Michigan continues to draw visitors and summer residents today. What could be more alluring that the brilliant blue waters of Lake Michigan, glorious beaches, charming small communities, and a myriad of activities that could fill every day from dawn until dusk. In the late 1800s, steamships brought summer guests to Northern Michigan where they could escape the heat and humidity. The deep, protected waters of Little Traverse Bay were perfect for the steamships. In later years, it was trains and then cars that brought guests to this glorious part of Michigan. Today, guests arrive by car, plane, or boat and once they arrive, they know they are in for a treat. The beauty of Northern Michigan is so stunning that if often gives visitors an "Aahh" moment. 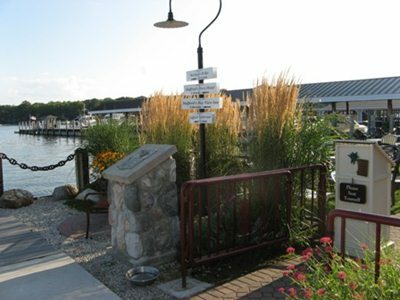 The communities of Petoskey, Harbor Springs,Charlevoix, Boyne City, Mackinaw City, and Mackinac Island have so much to offer year 'round. If you are looking for a beautiful setting with a variety of outdoor activities plus fabulous lodging, dining, and shopping....well, this is where you will find all that plus more. Visit Northern Michigan year 'round! If you are planning a visit Up North or already here, spend some time looking at all the information that we have here for you on this website. Visiting Petoskey, Charlevoix, or Harbor Springs, Boyne City, Mackinaw City or Mackinac Island? There is much to see and do in these two communities? 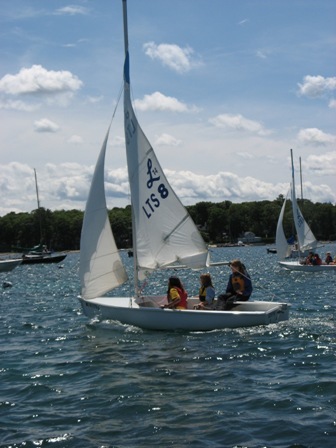 Want to go sailing, kayaking, biking, or or hunt for Petoskey stones? How about hear some great music at Bay View, view art at Crooked Tree Arts Center, or learn about the area's past at the Harbor Springs History Museum? Winter Up North is a delight, a Currier & Ives countryside filled with skiing and snowboarding, snowshoeing and cross country skiing, sledding and iceskating and snowmobiling. Northern Michigan is the perfect place to go to the beach, hike the dunes at the Petoskey State Park or explore the preserves of the Little Traverse Conservancy. Explore all of the great information here for you and enjoy your stay Up North!